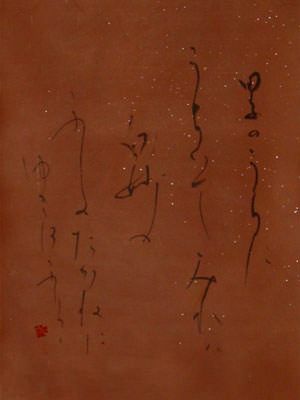 Artwork Panel: 31.6cm x 88.7cm ≈ 12½" x 35"
Silk/Brocade: 41.4cm x 150cm ≈ 16¼" x 59"
This was created by Japanese master calligrapher Bishou Imai of Nara, Japan. 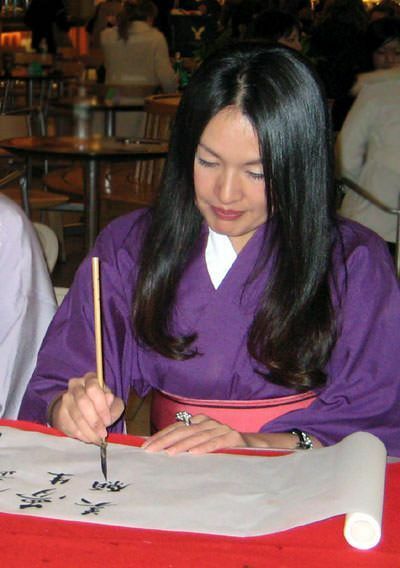 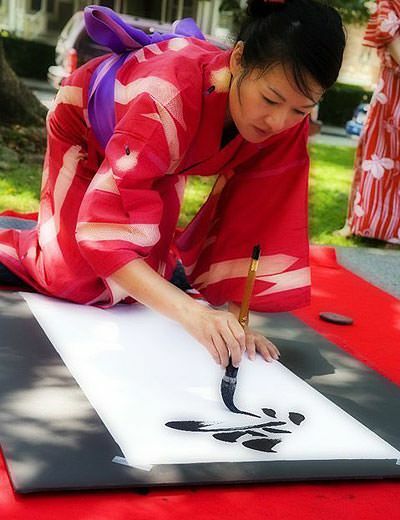 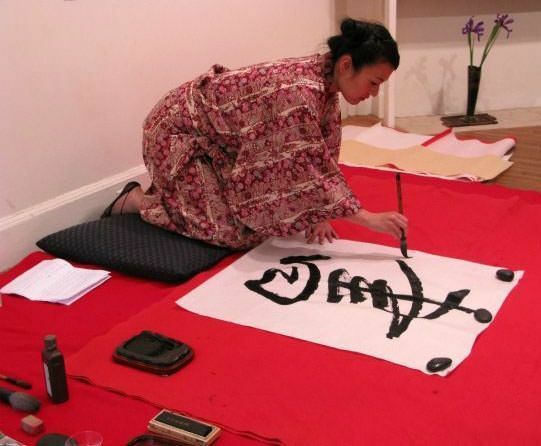 The materials used include special calligraphy paper and ink. 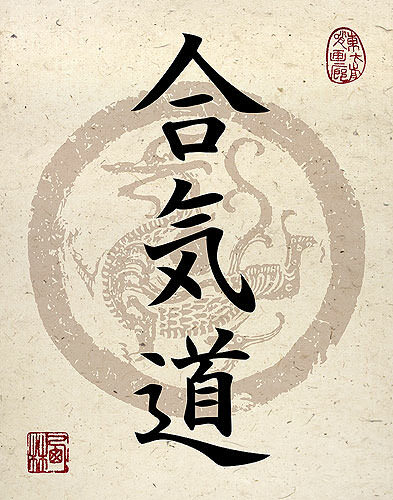 The artwork was sent to our workshop in Beijing where we created a hand-built silk brocade wall scroll. 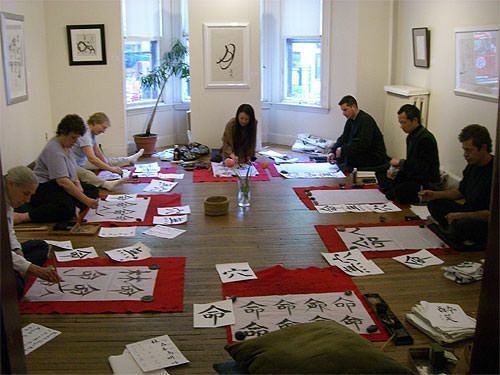 By building the wall scroll at our own workshop, we save you a lot of money - most authentic Japanese calligraphy wall scrolls cost over $230!